FULTON, NY – Barbara J. Otis Hall, 92, of Oswego, passed away Thursday October 10, 2013, at St. Luke Health Services in Oswego. 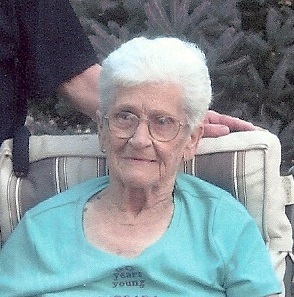 Born in Fulton, she had lived in the Fulton area until 1989. For many years, Barb dedicated much of her time the Republican Committee. She was a communicant of The Church of The Immaculate Conception. Barb was predeceased by her husband, Ted Hall, who passed away in 2004. Barb will be greatly missed and forever loved by her children, William (Karen) Otis, of Oswego, Nancy (Milt) Baldwin of Fulton, Lenna (Sonny) Otis of Fulton, Christine (Dennis) Knopp of Oswego and Renee (John) Goss of Fulton; brother, William (Jackie) Young of Massachusetts; 18 grandchildren; 44 great-grandchildren; nine great-great-grandchildren; several nieces and nephews. A Mass of Christian Burial will be celebrated 9:30 a.m. Tuesday, October 15 at Holy Trinity Catholic Church, corners of South Third and Rochester streets, Fulton. Burial will be at St. Mary’s Cemetery, Fulton. Calling hours will be held 3 to 6 p.m. Monday at Foster Funeral Home, 910 Fay St., Fulton. All Content Copyright Dot Publishing 2019. All Submissions Become Property of Dot Publishing All rights reserved. This material may not be published, broadcast, rewritten, or redistributed.